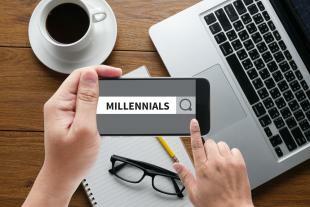 Millennials continue to be the buzzword around the workplace as employers try to understand their needs, attitudes, and expectations. They are consistently analyzed, scrutinized, and under the microscope. Known for short employment life cycles, need for instant gratification, and entitlement, they are perceived as lacking work ethic. Every day, 10,000 baby boomers turn 65, leaving the workforce at a rapid rate. Millennials are the next generation of leaders, let’s get them ready. With 80% of employers encountering trouble finding candidates with strong “soft skills,” it may be time to focus on training for lacking skills. Where should you invest in your training efforts for rising millennial leaders? Look below for three skills millennials lack! Growing up in a technology filled world, many millennials lack interpersonal communication skills in the workplace. The generation is known to be oversharers of personal information and unaware of how to generally interact with others on a business level. Communication is essential to creating successful business relationships for an organization and be able to work within a team. It is time to train millennials in relationship building, email etiquette, and learning to not over share personal information in the workplace. Many millennials feel as though they are unprepared for a leadership role due to lack of industry and technical experience. Part of developing training programs for millennials involves changing features or requirements that better align with millennials’ learning styles. Trying to fit millennials to an already made development program will decrease effectiveness and end up as a waste of an investment for the organization. Millennials have grown up in the booming internet era, making it shocking to hear that 32% of people from ages 16 to 29 do not have work related computer experience. This reveals that while millennials have used computers the majority of their lives, some have not learned other skills that are applicable in the workplace, such as: excel, word, and other software programs. The computer skills they carry are entertainment based, like social media. In addition, only 35% of millennials consider themselves to be tech savvy. Millennials may be perceived as being technical, but they lack necessary tech skills for the workplace; therefore, it is important for them to receive technical training in the workplace to increase productivity for the organization. Start training initiatives in these three areas to improve the millennial workforce and help them become the next generation of leaders!